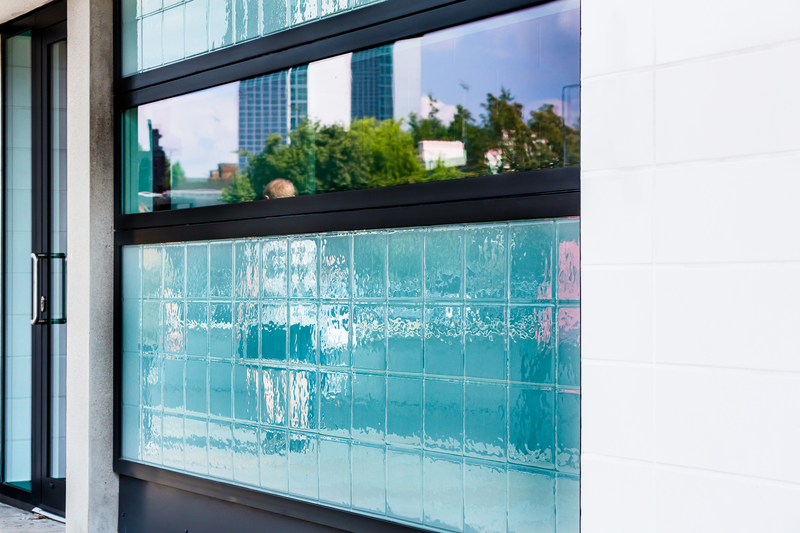 Textured glass wall cladding is a stunning architectural feature that is ideal for a wide range of commercial and residential interiors and creates a sophisticated, functional and contemporary design statement for both internal and external applications. Why use Textured Glass Cladding ? 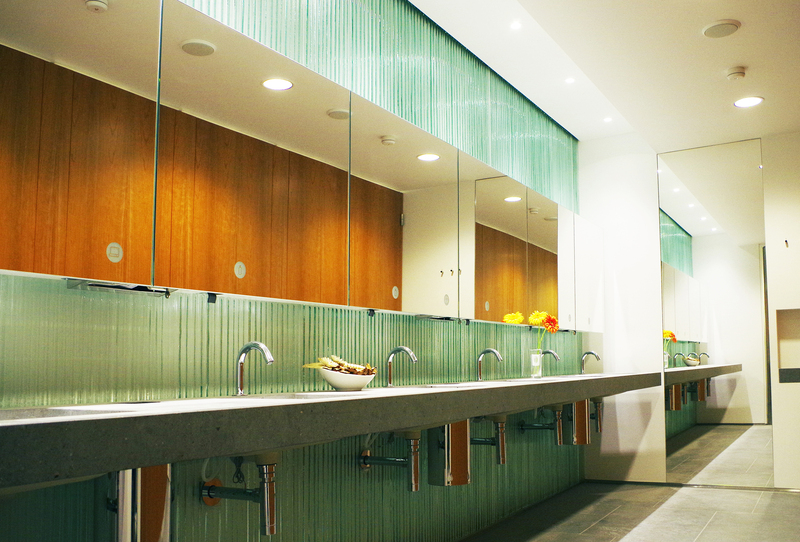 Textured Glass cladding is a hygienic, durable and decorative wall surface and is particularly appropriate in wet areas, especially restaurants and bars, spa and leisure centres, hospitals and washrooms. It offers easy cleaning and maintenance affording a fresh, clean appearance and can withstand the demands of industrial cleaning products. Glass wall cladding can be fitted in commercial reception areas, restaurants, kitchens, bathrooms or simply to make a colourful and contemporary design statement. Textured Glass Cladding has a reflective nature harnessing the aesthetic qualities of glass to bring surfaces to life and maximise light .When used for splash-backs, tinted mirror and metallic textured glass brings a certain depth and warmth compared to traditional ceramic tiles. All our Glass Cladding is safety toughened to minimize cracking and to accept more heat than glass would normally be able to. A metal foil backing creates additional strength. 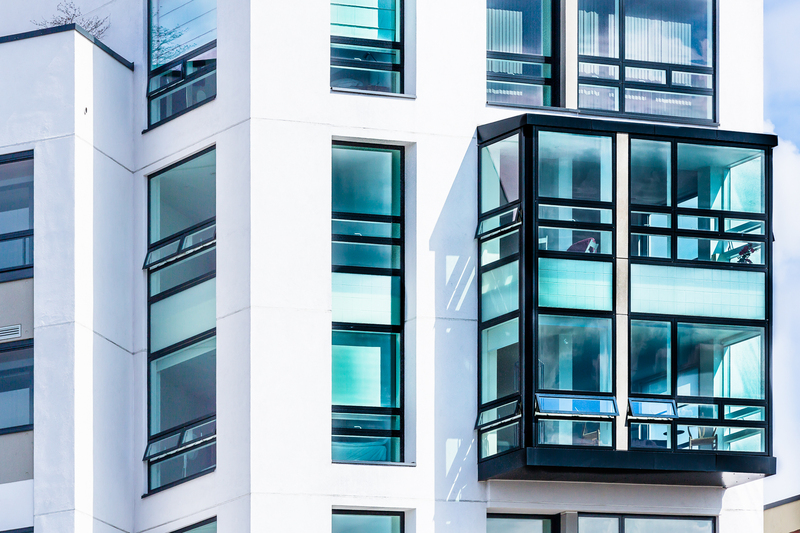 Glass cladding maintains its appearance for a long time and doesn't need to be replaced as often as other cladding materials which gives the project a certain longevity. 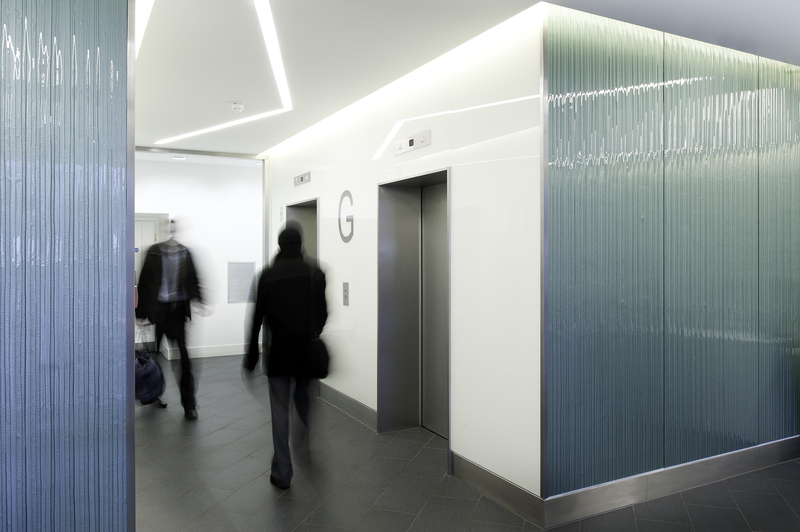 Textured Glass cladding has the advantage of hiding unsightly marks or scratches that may appear over time. Our Glass cladding can be supplied in a range of finishes to all our tints : clear, low-iron, blue, green, grey and bronze. Gold : A bright gold mirror finish which gives a high shine effect . White: A white metallic paint which gives a sleek contemporary feel to Textured Glass. Additional options:Drill-holes, nothes, cut-outs, heat-soaking. All our glass is made to measure to your specifications and meticulously quality checked before it leaves our building. We are also on hand to talk through any technical / installation considerations and can supply you with the necessary fixtures & fittings for your project.